£200! For a lightbulb! We know, but this is no ordinary bulb. It doubles as a Bluetooth speaker, so you can have tunes trickle out of your light fittings. It's a strange idea. Sony says it will let you play music in parts of your house where it's difficult or impossible to install speakers. Can't say that's ever been a problem for us. If we've struggled to fit speakers in a room, we've just turned it up in the other room. We're also not sure what the sound quality will be from a speaker so small it fits in a light fitting. We haven't heard it, so we'll reserve judgement. But the phrase 'bee in an envelope' springs to mind. You connect your phone to the light over Bluetooth, and fire tunes to it. Using an app, you can control the volume and brightness, or you can use the dedicated remote that pairs over NFC. 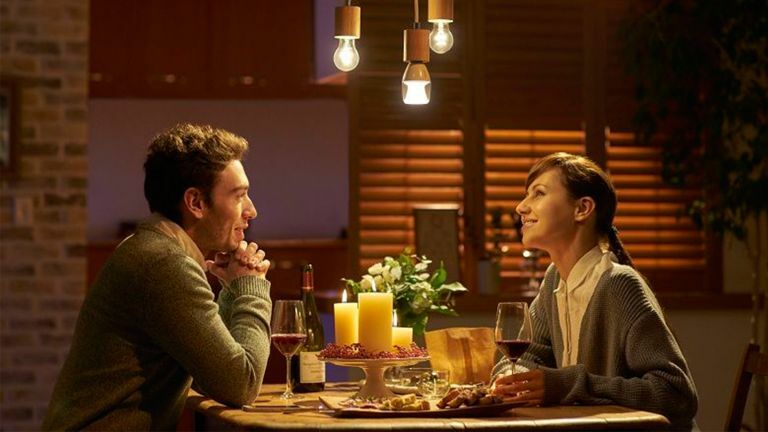 It's an LED bulb, so you'll get years of use before it dies, and has a brightness of 360 lumens. It'll go on sale in Japan on May 23, there's no word of a wider release. It will cost 24,000 yen, which is about $200. As is usually the case, we can switch the dollar sign for a pound one to get a rough idea of UK price. It's a neat idea, especially where space is a premium, like in Japan or in any London flat that's more central than zone three. But we have reservations about the sound quality. And did we mention the price? £200! For a lightbulb! You're having a laugh etc. Thankfully there are some very smart, but slightly cheaper, alternatives around. This solar-powered bulb is ideal for garden parties. It soaks up the sun's rays and then can last for 20 hours. If your party outlasts it, well done. You can control this from your phone, but also from your Misfit Flash fitness tracker – just set the function in the app and then press the Flash's button. And you can choose from millions of colours. Pick a photo and you can sample the colour and set your Hue bulbs to match it. Hey presto – now it's always sunset in the Bahamas time. You know smart home tech is taking off when even Ikea gets involved. The Varv's base doubles as a wireless charger for your phone, plus it has an extra USB port if yours doesn't support wireless charging.